Wiktor (Tomasz Kot) sits at a table in a club in Paris discussing music and profits with a colleague while music blares obtrusively in the background. People dance almost randomly and out of place while the love of Wiktor’s life, Zula (Joanne Kulig), looks bored and detached. She doesn’t fit in with the capitalist society of France. Wiktor either never noticed or was never able to empathize with this. Suddenly, the music switches to Rock Around the Clock by Bill Haley and the Comets. The dancers in the background begin to dance with the music. Zula smiles. She begins to bob her head with the music, just as the camera begins to move with her and with the music. She finishes her drink as the camera swings with her into the chaos of the dancers. Only the dancers are no longer chaos, they are now the center of the scene. She moves from partner to partner along with the music as the camera tracks, pans, and cranes to follow her. Everything moves with the music. Everything is fun and beautiful again. As the song nears its crescendo, she dances up to dance on the table where Wiktor is sitting with his friend. He looks annoyed with her. She falls, only to be caught by the sea of dancers all around them. The scene cuts abruptly, in the middle of the song as she is being caught. On one level, this movie is a love story. It is about two people who, for a reason which is never explained, fall deeply and hopelessly in love. The problems begin though as Wiktor defects to the West. Although Zula clearly loves him and wants to be with him, she cannot see herself being happy in Paris. This results in a poignant scene where Wiktor waits near the French sector in Berlin for Zula, only to cross the border alone. The movie skips a few years. They meet again in the West. They are still obsessed with the idea of being with one another, but the larger picture and their differing philosophies result in constant abrasion and another few years of being apart. Despite them never working together, they are always thinking about the other and although happiness always seems so close, the rest of the world always stands in their way. On this level, the level of a simple love story, the movie might seem like a cliché, but it comes across as anything but. The story is told in a rather unique way, a collection of moments from their relationship which often are not even the most important moments. Huge plot points are completely skipped over and scenes which contain the most drama are cut short. For example, through the film, Zula starts relationships and marries other men. These plot points which are integral to the central relationship with Wiktor are only mentioned offhand. In another part, Wiktor is assured of safe passage back to Poland and in the next scene is shown in prison after having been arrested during his return. While omissions such as this may sound as if they may be jarring to the overall feel of the film, they are not. They feel as if they are done purposefully to force the viewer to focus on what is important to the characters in each moment. Other examples of this storytelling technique happen when scenes are cut short. The above-mentioned scene seemed to call for resolution where Wiktor resolves his annoyance with Zula dancing on the table as he discusses business or Zula resolving her boredom with Wiktor in that moment, but the scene cuts early as she falls from the table and the scene is never mentioned again. Another rather brutal scene involves Zula confessing unapologetically to infidelity after getting drunk at a party. Wiktor slaps her violently across the face, and again the scene ends before this conflict is resolved. This isn’t to say that the conflicts or plot points are not resolved or do not exist. They are just not shown within the context of the film, allowing the viewer to more easily empathize with the unrequited love that the characters experience throughout the film. While on one level, the film is this story about unrequited love, the story is also a metaphor for the Cold War itself. In the Cold War, the differing ideologies of capitalism and communism could also never find a happy medium. Everyone wanted peace and security, but the differing beliefs never allowed for a happy medium. In this metaphor, Zula is the communist ideas and Wiktor the capitalist. Neither one is presented as right or wrong. Both societies have their faults and their benefits just as both characters have their faults and benefits. To me, the movie feels faultless and purposeful throughout. The cinematography is in black and white to emphasize the starkness of the landscapes and their relationship. The acting all seems very competent and believable throughout. 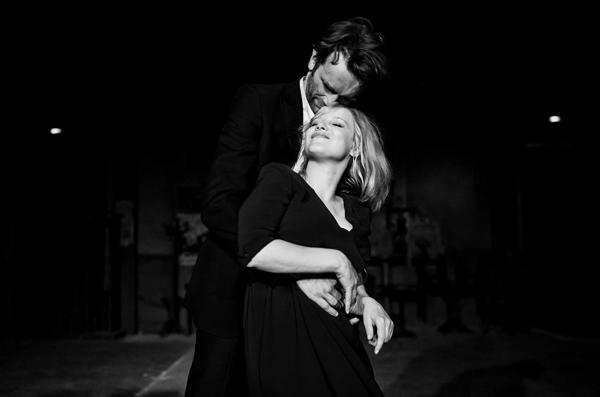 The unusual storytelling style and the large gaps of time that are skimmed through also seem perfect within the story that Pawel Pawlikowski tells.